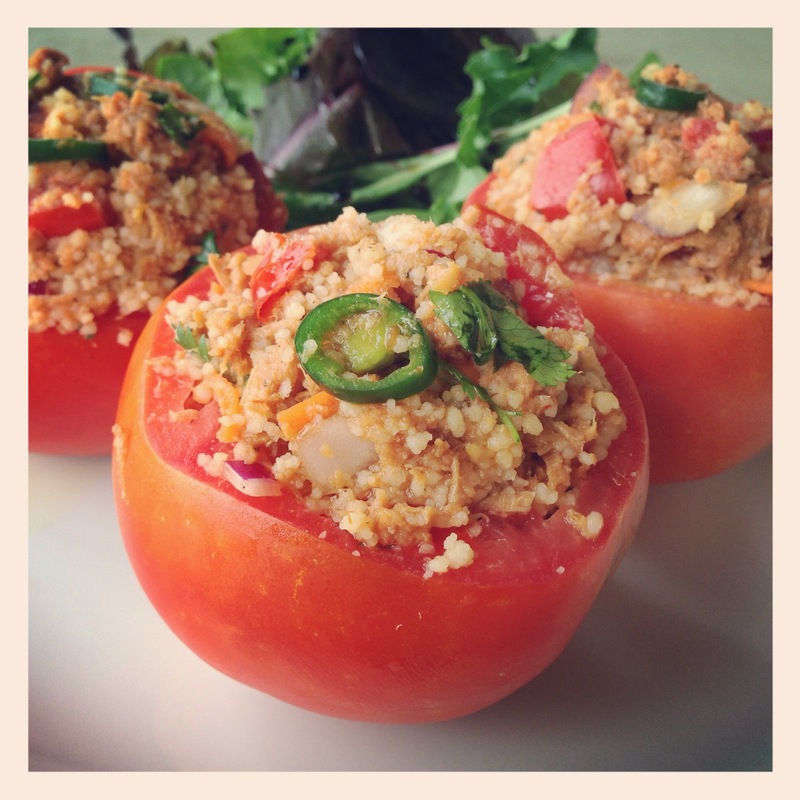 Couscous and Spicy Tuna Stuffed Tomatoes. This was a great light lunch packed full of sweet and spicy flavor that will fill you up but won’t weight you down. These Spicy Tuna Stuffed Tomatoes are perfect for lunch or a light dinner on those hot summer days and they are a great way to showcase those beautiful, fresh summer tomatoes. Is there anything better than a fresh tomato off the vine in summer time? If you wanted to really bump up the nutrition replace the cooked couscous with cooked quinoa. ** Serrano chilies can be quite hot and if you are sensitive to heat take out the ribs and seeds with a spoon. Then wash your hands thoroughly with soap and hot water. Be careful not to touch your eyes after cutting these peppers. In a small glass measuring cup measure out ¼ cup Couscous and ¼ cup of chicken stock. Heat the couscous and chicken stock on high in a microwave for 1 minute, then cover the measuring cup with plastic wrap. In a medium sized bowl add the 2 packages of StarKist Sweet & Spicy Tuna, grated carrot, minced red onion, the grated garlic, cilantro, the chopped tomato and the thinly sliced Serrano. Add a pinch of kosher salt and a few cracks of fresh black pepper to taste. Mix everything with a fork making sure to break up all the large pieces of tuna. Barely cut the top off of the large tomatoes. Then with a paring knife or spoon, cut out the core of the tomatoes and scoop out the seeds. You want these tomatoes to be like a bowl or cup to hold the stuffing. Add the couscous to the tuna and vegetable mixture with 1 Tablespoon of Extra Virgin Olive and fluff everything with a fork. Taste for seasoning. With a spoon stuff the Tuna and Couscous mixture into the hollowed out Tomatoes. Thanks!! It’s just another way to use up those fresh summer tomatoes. They are great in a picnic basket too. oh tuna-stuffing something is the best! Oh my goodness, this looks so delicious! It’s a cool, gray, rainy day today, but I’ll put this on my list to make when the sun and heat returns! 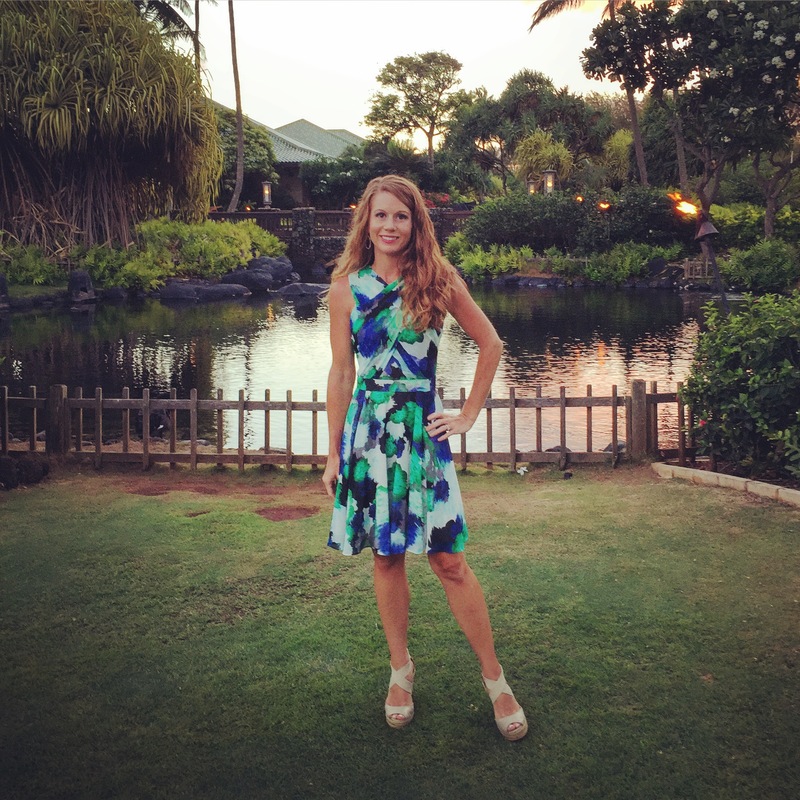 Hi Mel– Tuna with cilantro– sound brilliant together!! great recipe! thanks. Thanks Rhonda 🙂 It’s the perfect light lunch on these hot summer days.